Ryan Parrish hasn't added a story. 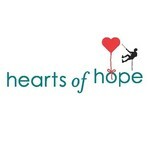 Hearts of Hope, formerly Stuller Place, is a 501(c)(3) non-profit agency that responds daily to those affected by the trauma of sexual violence in our community by providing free counseling, education, advocacy and empowerment services and programs. Ryan Parrish hasn't posted any updates yet.